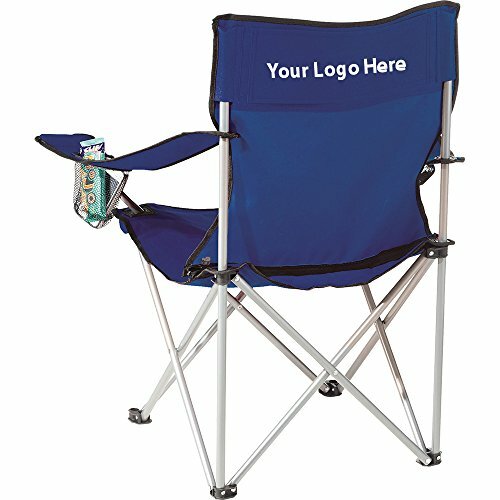 Fanatic Event Folding Chair - 24 Quantity - $18.40 Each - PROMOTIONAL PRODUCT / BULK / BRANDED with YOUR LOGO / CUSTOMIZED by Sunrise Identity at Indsight. MPN: AMZN-BLSM-7765-5. Hurry! Limited time offer. Offer valid only while supplies last. Portable folding chair with arm rests and built-in cup holders. Includes matching carry case with shoulder strap.